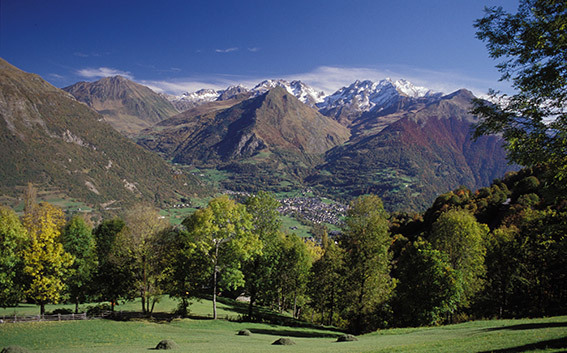 Ask a Pyrenean where he comes from and he will always name his valley - the land of his identity. Most of the valleys lie in the north-south direction, but some vary from this pattern, taking a rebellious track which often leads to nothing but walking trails. The valleys are diverse and satisfy every taste, whether you are looking for charm, a ski resort, solitude, or amazing natural settings. Of course, there are the famous stars. In Béarn, the Ossau valley with the distinction generally made between the low and high valley; and Aspe, which was the object of a Homeric battle when the Somport tunnel was pierced. In Bigorre, there is Aure, famous for ski resorts; and Louron with a well preserved natural environment, as well as Campan and Marcadau. A bit further, the Lys valley winds around Luchon. In Ariège, there is Bethmale with small suspended lakes, and the grand Ax valley. Further to the east, the high Aude valley which resembles a French Colorado, and the laughing Catalonian valleys, such as the flowery Eyne valley, or the Têt, home to the famous organs. Some play at a sort of noun game, turning proper nouns into common nouns: the Barousse, famous for its cheese, the Vicdessos with bitter memories; and the Capcir half valley, half plateau. Others are more discreet, such as the Lesponne valley. Lying east to west, Lesponne bathes in the Adour sources and hides lakes tinged with Garibaldian hues. How can you describe the Altitudes valley which gives way to a historical illusion; the Quint country; the Outil valley, a showcase for slate-roofed villages; or Ustou, so close to Guzet, yet a real opportunity for time travel? Not to mention the valleys that are still unknown to the GPS, whose location is shared between insiders. 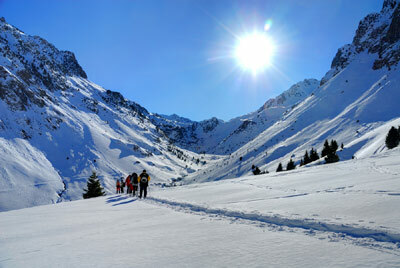 The Pyrenees still has many hidden secrets.